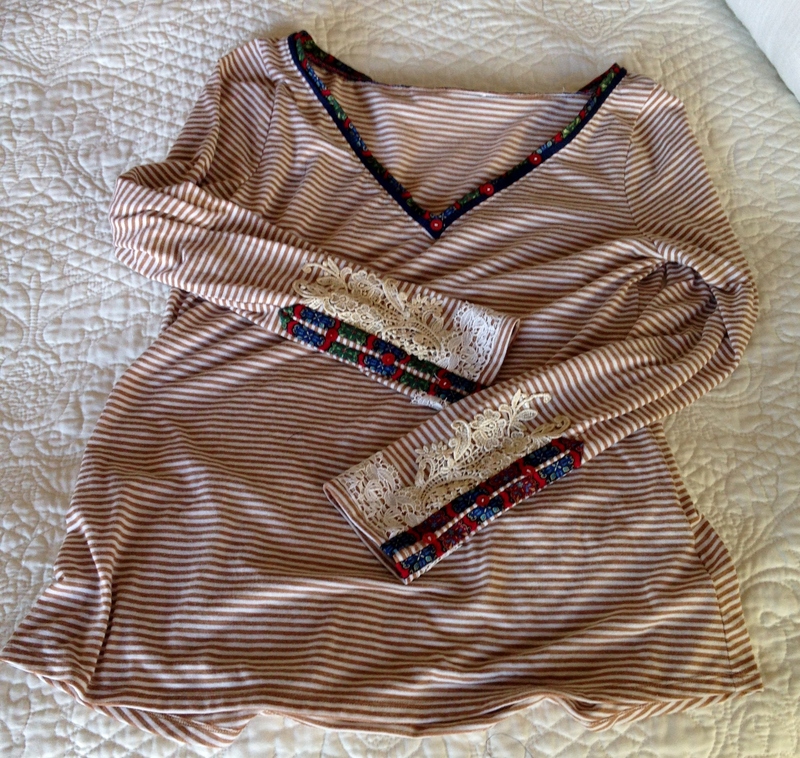 Love the embellishments on these Anthropologie Lata Tee’s. Lace and calico bias binding? The Stash has those! I thought it possible to replicate these with just a few modifications to a long sleeved t-shirt. 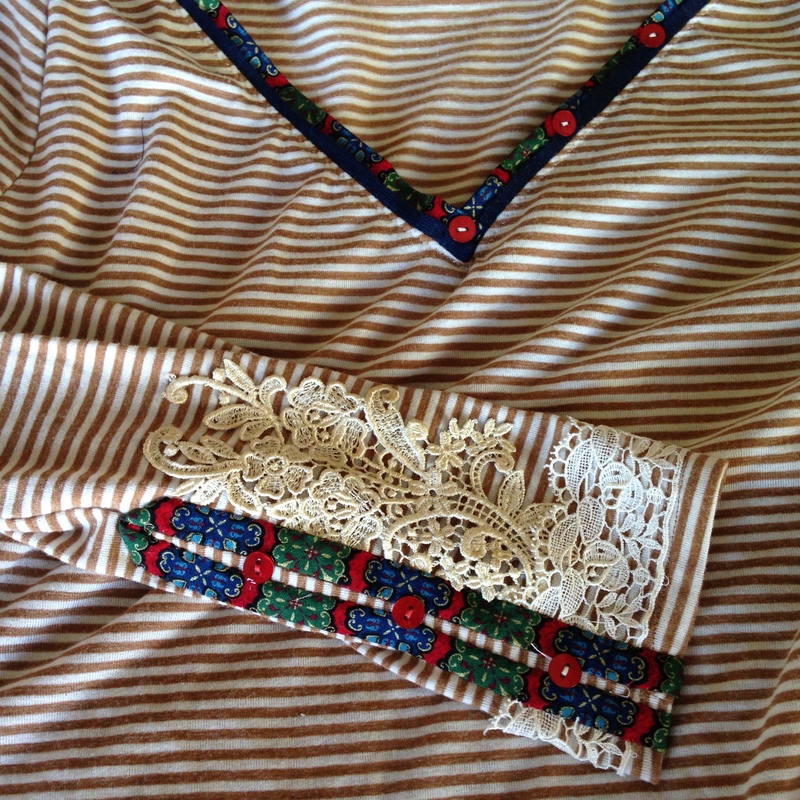 The Stash has lace, calico and buttons! A quick trip to Old Navy found a long-sleeved long-tailed striped T-shirt on clearance for $6. The Stash had several options for lace. One motif approximately the right length was white – so it went into the coffee pot to be darkened. The V-neck was cut and a double layer of blue and calico binding sewn around the neck. A few small buttons from The Stash and The Stash Couture version of the Lata Tee was complete! This entry was posted in Beginner Sewing Projects, Clothing, Embellishment, Scrap Couture, Sewing, Stash Couture, T-shirt remake. Bookmark the permalink. Very clever! I wouldn’t have thought of that! I am wearing the top as I write this. So comfortable! Very nice. From inspiration to actual garment in a flash! You did a marvelous job.